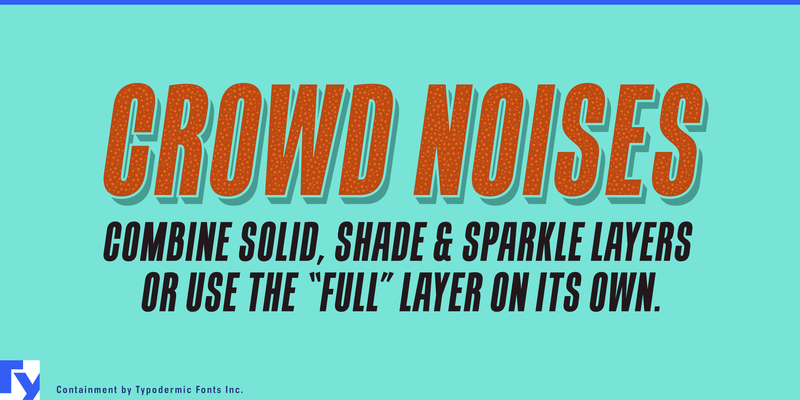 Overview Containment is a multilayered font system for creating headlines with fizz, gravel, snow, sand etc. 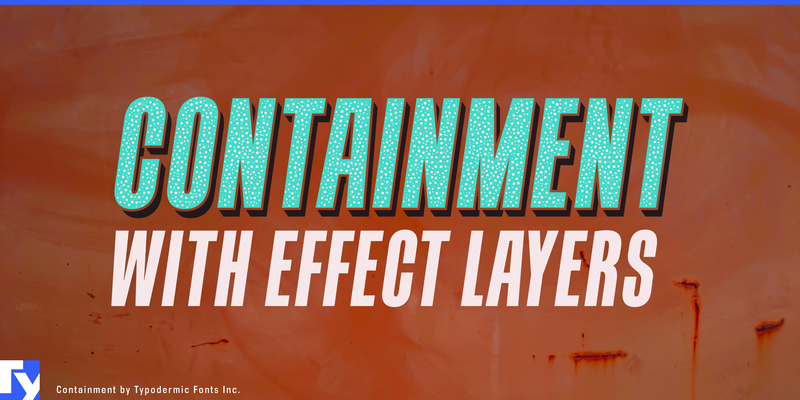 With Containment, you get four fonts: A plain layer, a shadow layer, a crunchy-little-dots layer and a mix of all three. Looking for a companion font for Containment? Try Tandelle. 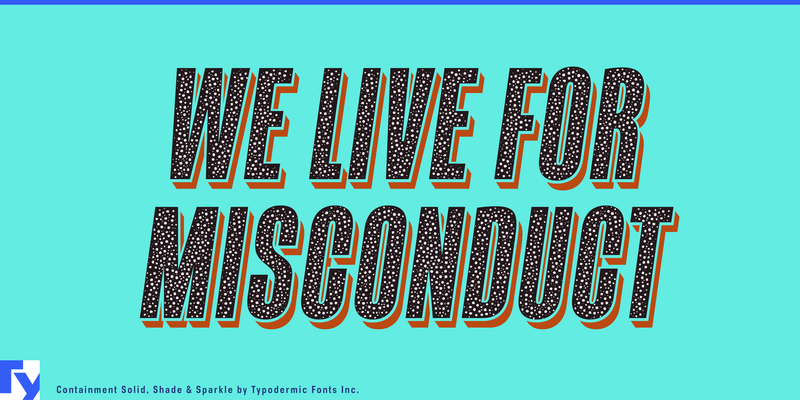 Containment is available in OpenType & Windows TrueType format. Supported languages include: Albanian, Bulgarian, Catalan, Croatian, Czech, Danish, Dutch, English, Esperanto, Estonian, Finnish, French, German, Hungarian, Icelandic, Irish, Italian, Latvian, Lithuanian, Norwegian, Polish, Portuguese, Slovak, Spanish, Swedish, Turkish & Welsh.